Be one of the first to catch 2:22! 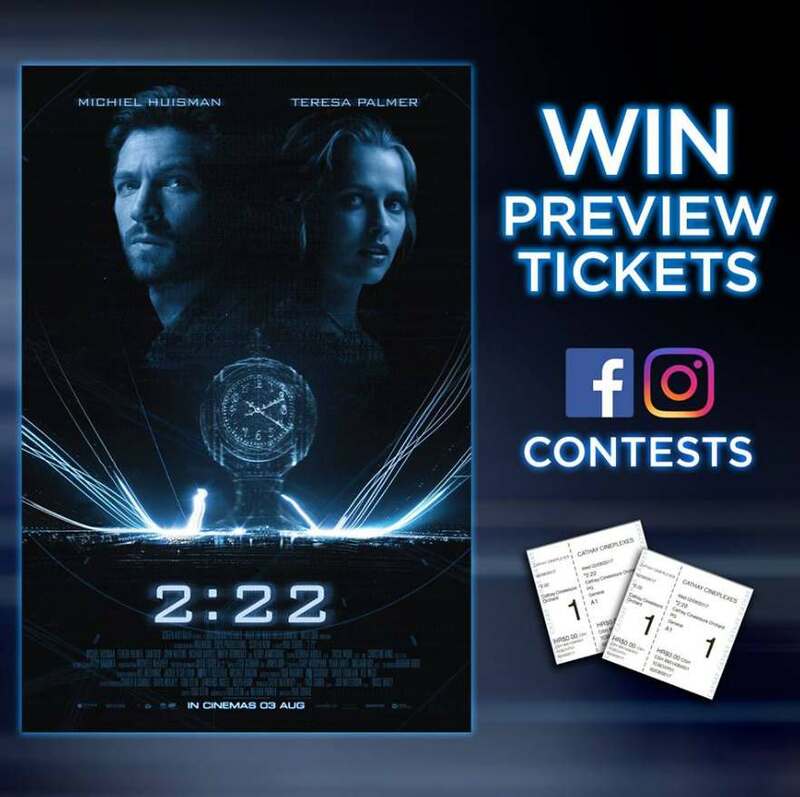 Stand to win tickets to the preview on 2 Aug.
Qn: In 2:22, a man’s life is derailed when an ominous pattern of events repeats itself in exactly the same manner every day, ending at precisely what time? Double your chances by joining our Instagram contest too!